CATHOLIC SCHOOLS ATROCITIES » Is Tuticorin Diocesan Association a minority? 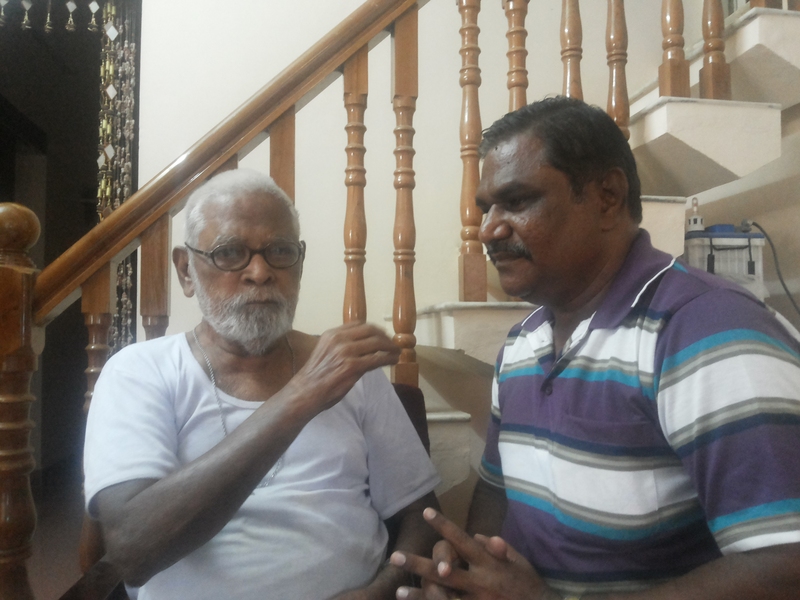 Is Tuticorin Diocesan Association a minority? 1.“THE TUTICORIN DIOCESAN ASSOCIATION” was registered as a Society under Societies Registration Act 1860 (Act XXI of 1860) under S. No. 1 of 1937-38 dated 14.04.1937. The said society started schools and the schools are getting recognition and grants from the government. The said society states that it got minority status. But so far it has not shown the document as proof for minority status to anybody. From the Director of School Education to the Assistant Education Officers do not have any document to prove that the above society has minority status. But all of them are treating the above society as minority management. The Education Department of Tamilnadu is giving all facilities to the schools being run by the society on the basis of minority status. No endowment was deposited for the schools being run by the society. 2. The batch of cases relating to minority right was disposed by the Hon’ble Court on 17.12.1975. On the basis of the court order the Secretary to government, education department and the Director of School Education sent letters. The letters contain several number of Writ Petitions without mention about the name of Educational Agency against the Writ Petitions. The said society picked up the number 570 from the court order and proceedings of the Director and declared that it was the W.P filed by them. This number is seen in page 88 of the court order dated 17.12.1975. We do not have any proof to show that this society is the petitioner in the Writ Petition No570/75. As per the bye laws of the society (Rule 15 of the bye law) the procurator alone can file cases on behalf of the society. We do not know whether this rule was followed in this writ petition. We do not know the prayer of the writ petition 570/75. In fact the court allowed this petition. But without knowing the prayer we do not know the exact order passed on this Writ Petition. The society is said to be religious. The society must have attached some certificates in the typed set. No one knows these facts. Further, the writ petition must have been made in the exact name of the society as mentioned in the registration on 14.04.1937. Otherwise it becomes useless and invalid. The officials have not shown this to anybody and also they have not verified the matching of the society’s name with the writ petition 570/1975 and the representation. Without verification they have allowed the society to go scot-free in the administration giving full minority power. 3. The Director has sent a document with his letter Na.Ka.No.82755/G2/E3/07 dated 15.11.07 to show the minority character of the management. Unfortunately it was not from any court order or his office. But it was a private publication made by the management itself. In that document the name of the Educational Agency is mentioned as The Roman Catholic Diocese of Tuticorin. Unfortunately there is no registered society in this name. Also it is pertinent that from the District Officers also have shown this same document to prove the minority character of this society. This document cannot be considered for the minority character of the society. 4. The 4th item referred to above is a batch case decided by the Hon’ble court on 10.10.2012. In this order in page 2 there is a mention about a management under item No.10. The petitioner’s details against 570/1975 are found as follows. B. It has been shown that Rev.Fr.Rosario Fernando is deceased. But he died only on 29.09.2015. C. Bishop YvonAmbroise has filed this case in the name of unregistered body. D. He has mentioned him as the Bishop and General Manager. There is no mention about this position in the bye law. E. The last shocking point is that he killed Rev.Fr.Rosario Fernando by records for his personal benefits and for cheating the court. 5. In the order passed by the Hon’ble Supreme Court on 04.03.2003 it set aside the order of high court dated 17.12.1975. Further in the same order the Supreme Court directed the high court to follow the observations made in the Constitutional Bench of it in the case of T.M.A Pai Foundation. But in the High Court Order dated 10.10.2012 the privilege of Status quo was granted until the Comprehensive Act for the private schools comes into force. As on date the minority status of the managements are being enjoyed by the status quo order of the High Court. But by false filing this society is also enjoying the status. The respondents in the above cases are government officers who went to Supreme court of Inida. They are responsible to bring this criminal offence to the notice of the court. Instead, they are allowing them to function under minority right. This society has no right to claim its minority right through WP 570/1975. 6. It is pertinent that no case has been filed properly in the name of registered body “The Tuticorin Diocesan Association” and as such it cannot be an Educational Agency having minority right. It has not followed the rule 15 of the memorandum of the society. As such it is not an educational agency. 7. The Home Ministry of India took action against this society for misappropriation of funds through the following proceedings of the central government. Writ Petition 7587/2012 and Writ Petition 3061/2014 have been filed in connection with the orders before the Madurai Bench of Madras High Court. They are pending before the court still. These writ petitions have been filed as per the rule of the society as follows. The above procedure was not followed in filing cases for minority status. They have willfully presented false documents with wrong motives to get more benefits and to cheat both the public and the court. The Bishop YvonAmbroise has gone to the extent of telling damn lies before the court. As per the bye law the procurator of the society should have filed case for minority right also. Hence the minority right they enjoy was obtained by giving wrong information and by wrong filing. The Secretary and the Director should have taken action against the society and should have already declared all the schools of the society as non- minority. 8. In the order passed by the High Court dated 17.12.1975 in page 83 and 84 it has been stated as follows. In the other cases, wherever the petitioners’ character as minority institutions are not disputed, they are allowed, but with no costs; and the other petitions in which the private institutions are not admitted to be minority institutions, are except for the declaration aforesaid, all dismissed, but with no costs. The above observation was made while disposing hundreds of writ petitions. The writ petition No. 570/1975 is found in page 88. Except this there is no mention about this society in the long order. But it is strange that without verification the government have allowed them to function as minority management in several names. The Director and the District Officials have given approval to many proposals of the management. All the approvals are wrong as per the documents available at present. 9. In the letter of Deputy Secretary memo no. 51159/RD2/76/dated 21.06.1976 in Annexure A this 570 is found. The memo says as follows. The clear minority institutions whose writ petitions were allowed (Annexure A and C) by the High Court on the basis that they are minority institutions should not be asked to fulfill the requirements of the Act and rules which are held inapplicable in their cases. Here also the number alone is available. No educational agency is mentioned against the petitions. How can a person ascertain that this WP 570/1975 is for the Tuticorin Diocesan Association? 10. The said management sends all kinds of proposals to the educational offices in the following names. Unfortunately the above are not registered bodies. This information was given by the District Registrar of Societies, Thothukudi in his letter Mu.Mu.No.6007/A3/2013 dated 10.12.2013. In this aspect also the management has been committing mistakes. Most of the proposals, appointment orders, transfer orders are issued in the name of R.C. Schools, Thoothukudi. It is not a registered minority management. It is also not matching the so called minority management, namely The Tuticorin Diocesan Association. 11. More over the District Educational Officer, Thoothukudi has given the name of educational agency as “Catholic Educational Council of Tamilnadu” (Reg.No.MS.1/1937-38) through his letter Na.Ka.No.2677/B2.2013 dated 15.05.2013. The same officer has given the name as Roman Catholic Church through his letter O.Mu.No.1241/B4/14 dated 18.03.2014. It is strange that the District Educational Officer, Thoothukudi, does not know the name of educational agency. He has secret connection with the management. If information is asked from his office he sends the same to the management and no one gets information from them. Also the DEO, Thoothukudi, has converted the duty periods of several teachers in one school as leave periods without considering the rules. This is the proof for his collaboration with the management. 12. Further, Rev. Bishops Amalnather, Peter Fernando and YvonAmbroise have taken position as Manager of R.C. Schools, Thoothukudi. The Education Department does not verify their appointments. But they approve the orders passed by the management or managers including transfers and dismissals too. In this connection the DEO was requested to send the details of appointment orders of these bishops who acted as managers and whose orders were approved. I requested him on 11.02.2014. Till now there is no reply from him. It shows that he has no document to that effect. Also I asked the documents of appointment orders of Superintendent of R.C. Schools, Thoothukudi. For this also there is no response from the DEO, Thoothukudi. But he continues to approve all the proposals sent by the manager and superintendents. 13. Further, the said society has cheated the government and court and the education department has joined hands with the management for unknown reasons to approve all its illegalities while the minority character of the management is not proved. In obtaining the minority right also the management has committed mistakes. Also the society is functioning in different names which are not authorized. 14. Hence the said society is not a minority one. The schools run by them are not minority institutions. Therefore the 224 schools being run by them under the garb of minority status are to be declared as non-minority schools. 15. The Education department and the government have to take appropriate action against all the persons who erred in this issue. 16. Further, the government may constitute a commission to enquire and investigate the matter in all the schools being run by the said society and take appropriate action. 17. Sufficient documents are available in the office of AVE MARIA to prove the illegalities and criminal offences of the management. If enquiry is properly held, Many hidden facts will come to the notice of the public and the courts. Will the government take appropriate action?